The Uganda 3*3 Women National team will take part in the Russia 2019 World Cup. This was confirmed after a list of the teams to take part in the global showpiece was released by FIBA. The competition whose inaugural edition took place two months ago (October) will have 38 teams in both Men and Women categories for the coming year. Four teams were given a pass to the October 2-6, 2019 event and these are the 2 Russian teams as defending champions and the 2 Chinese teams as hosts. 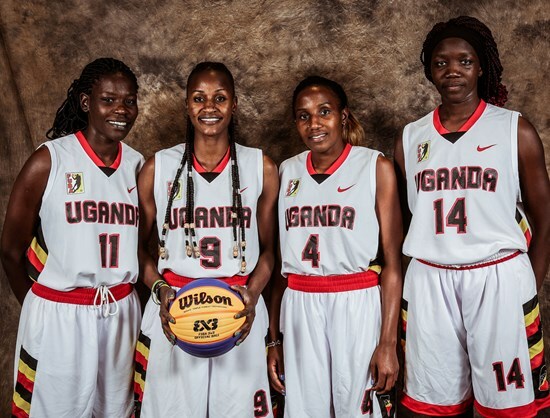 Uganda team comprising of Jamilah Nansikombi, Ritah Imanishimwe, Hope Akello and Jane Asinde played at the October tournament winning two and losing as many group games. Men: Argentina, Brazil, China (hosts), Italy, Kazakhstan, Kyrgyzstan, Latvia, Lithuania, Mongolia, Netherlands, New Zealand, Qatar, Romania, Russia (reigning champs), Serbia, Slovenia, South Korea, Turkey, Ukraine, USA. Women: Belarus, China (hosts), Czech Republic, Dominican Republic, France, Germany, Hungary, Indonesia, Iran, Italy, Japan, Mongolia, Netherlands, Romania, Russia (reigning champs), Sri Lanka, Switzerland, Turkmenistan, Uganda, Ukraine.